You know that thing where you go on a vacation and you have some things planned, and you do those things and they're awesome but then you say yes to a little spontaneous adventure and it was that spontaneity that actually led to one of the best moments of your whole trip? Well, this post is about THAT. 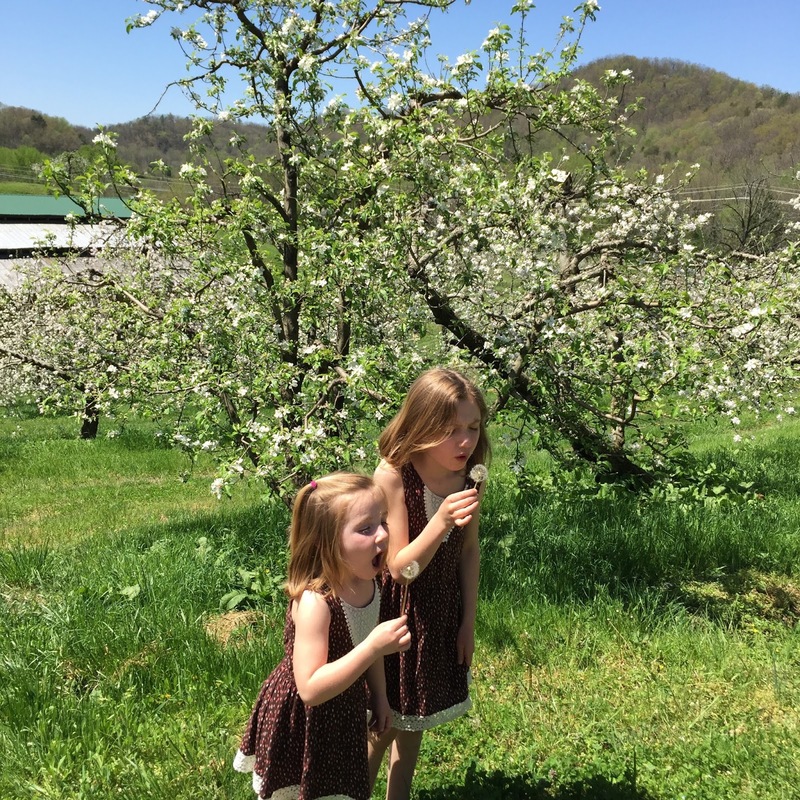 Lou really wanted to go check out this apple orchard in Cosby, Tennessee. It was a bit of a drive just for lunch, but we decided you just couldn't go wrong when it coming to a country apple orchard, restaurant and farm stand. Boy, was Lou right! It was beautiful!!! On the way out of town, we stopped to meet some horses. Bea was too young for a trail ride this year. Next time! They were so kind to let the girls take a little lap around the parking lot so they wouldn't be too disappointed. Gosh I love Southern hospitality! The restaurant served apple EVERYTHING and the apple trees were in FULL BLOOM! Needless to say, photos were in order! Reminder: Say yes. You never know what you might find.